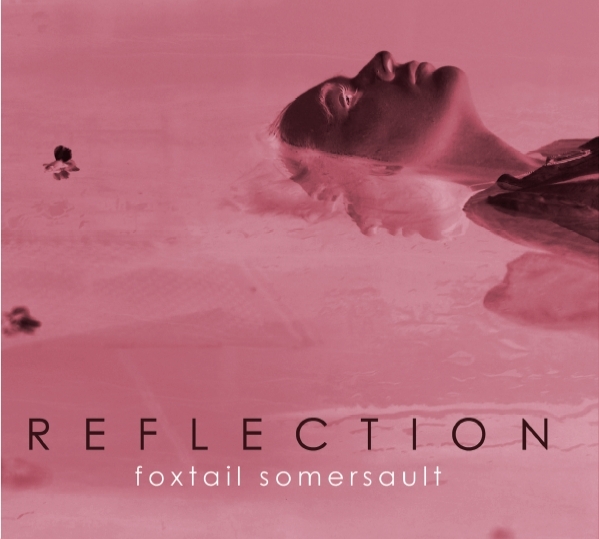 Your resource for all things shoegaze and dream pop: Interview: Seiken Nakama of Foxtail Somersault. 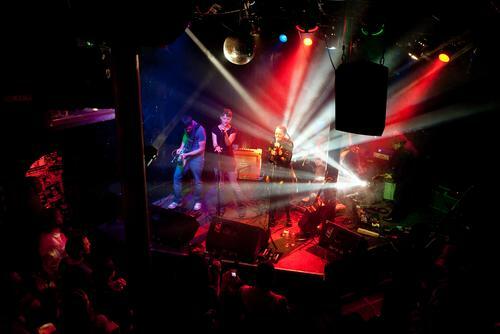 Foxtail Somersault is a 5 piece dream pop group based in San Francisco, California. Formed in 2004 by guitarist Seiken Nakama, the band has since released two EPs: 2007's Fathom and last years excellent Reflection, with a full length in the works as we speak. 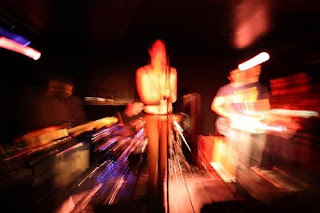 We recently sat down with (well, we both sat down at our computers and emailed each other) Nakama and talked a little bit about the band's history, their influences, equipment, and lots of other fun stuff! 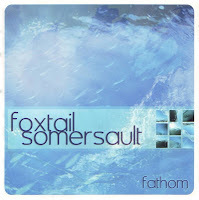 Foxtail Somersault was formed in 2005 when my friend Winston wanted to form a cover band to perform a party, I had been in few music projects in Los Angeles previously, but put music on hold for several years for personal reasons. 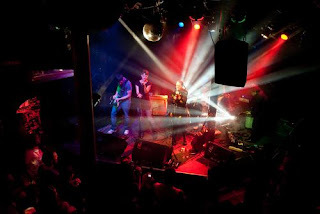 I had such a great time performing at the party, that it sparked the desire to form Foxtail Somersault. Moving on to our current line up, both Brian and Elizabeth Anderson (no relations) both joined FS after responding to ads on Craigslist we had posted. Most of the music I compose, starts on a multi-track recorder and I add layers and layers of guitars, final versions of songs really require an addition guitarist, so when I heard that James' band Morningspy were going to take a long haitus, I had been a fan of Morninspy, and I thought James could really help FS, little did I know at that time that he would become the glue that holds FS together. Fortuitously, we were both in attendance at a Tomihira show, when I asked James to join FS. Mark Loftin was also in Morningspy, and would eventually join FS. We're currently working on a full length release that hopefully will be finished before the Winter. 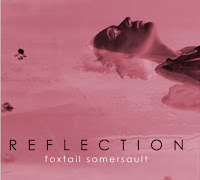 Do you consider Foxtail Somersault's music to be part of the current shoegaze/dream pop scene, or any scene? Defining one's sound by genre can be tiresome, but do you feel that the band identifies closely with any genre? How do you feel about genres in music, in a general sense? 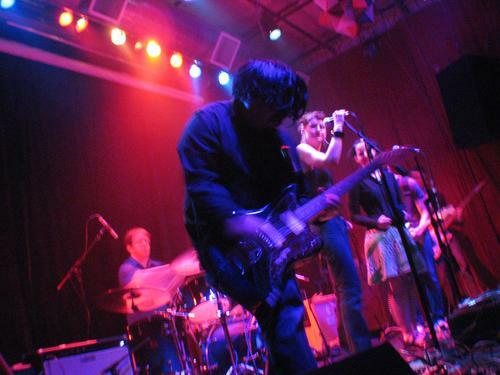 What we really feel a part of is our local San Francisco shoegaze/dream pop scene, it's small enough that we all know, respect, and support each other. In a general sense, genres make it easier for people to find similar sounding artists, I don't really mind how people classify us. Love them all, The Meeting Places, Experimental Aircraft, SPC ECO, Amusement Parks on Fire, Starry Saints, Stripmall Architecture, Spacewaves, Astral, Tomihira, Vir, etc...the list goes on and on. 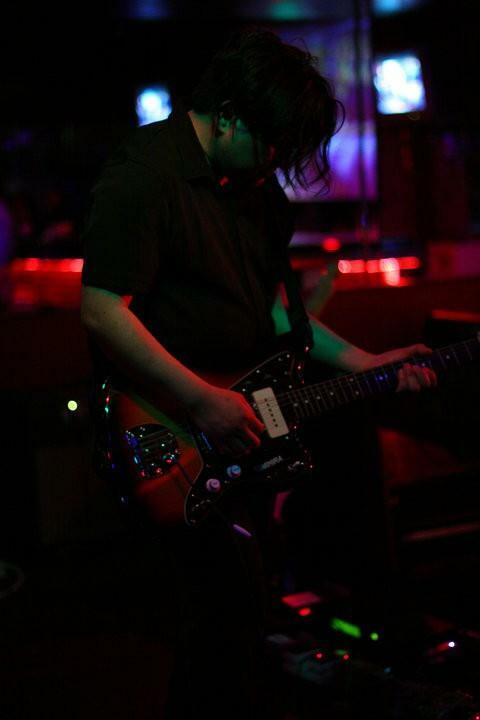 guitars, especially Jazzmasters and Jaguars. 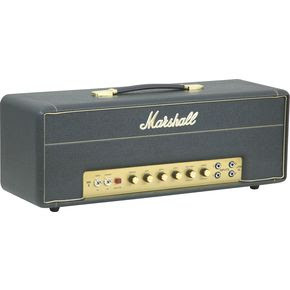 As for amps, I usually play out with a DR. Z Maz Jr. and a Mesa Lonestar, for recording higher gain material, I love my Marshall JTM45. The costs of recording and releasing music has come down significantly, there's so many more independent artists releasing material. 10 yrs ago, the first iPod was releasing, there was no Apple Store, or any digital music stores, you had to be on a label with decent distro to be heard. I really like how accessible music is now, but on the other hand it's difficult to relate to a world without physical record stores. One thing I really hate is the death of the album, it’s seems like it's singles world these days. We're DIY all the way, we record, mix, and master our tracks. Each format definitely has it's place, when casually listening to music, I like the portability of mp3s, when critically listening to music at home, I prefer hi-fi formats like SACD, DVD-Audio, and Blu-ray audio. When mixing and mastering your own music, you can really hear the difference when converting and mixing down audio from 24bit to 16bit. The only problem with the hifi formats is the lack of content, there's only a dozen or so releases worth owning, but all is not lost, I'm really excited by the vinyl resurgence in the past 5 years, it's definitely my 2nd format of choice. I've A/B'd mixes of CDs and vinyl, and generally there's a slight mid-range push on vinyl mixes which sounds warmer, and more pleasing to my ears. When I first listened to Psychocandy by the Jesus and Mary Chain, back in the late 80’s my life forever changed, I’ve been a feedback junkie ever since. I had a similar experience when I first listened to Loveless by MBV, I just couldn’t get over the guitar tones Kevin Shields was creating. I'm also a huge fan of the Cure, Robert Smith’s melodies can make me teary eyed. 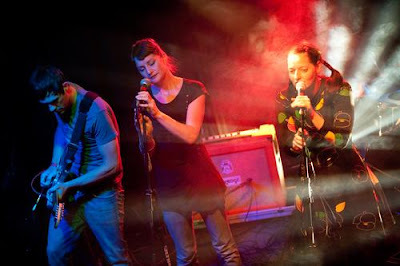 Currently I’m digging the latest releases from Mogwai and Explosions in the Sky. 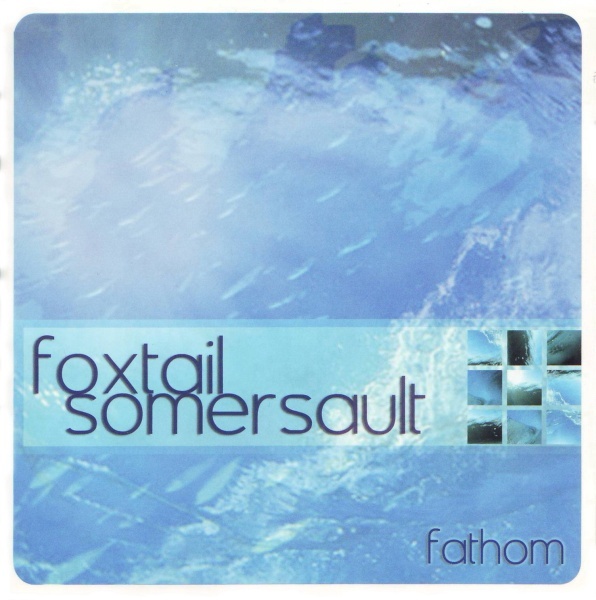 If you had to choose one Foxtail Somersault track that was the ultimate definition of your sound, which would it be and why? That's really a difficult question to answer, and while I can't really speak for the rest of my mates, I'm sorry to disappoint with this answer, because it's a new track I'm working on, currently untitled. loop to accompany the initial bass and guitar parts, and begin layering guitars. Once I've developed the foundation for the track, I'll share the track with my mates, and they'll begin learning and improving the track. James, Brian, Mark nor I ever write lyrics or have intended vocal melodies for our ideas, so Beth really has free reign. Live life like it's your last day.